We are a leading Manufacturer and exporter of cryogenic nitrogen plants, cryogenic nitrogen gas plants with cylinder filling station, cryogenic nitrogen production plant, medical cylinder filling oxygen gas plant, industrial & medical oxygen and nitrogen gas plant. We have been flourishing in the engineering sector for manufacturing and supplying Cryogenic Nitrogen Plant in technical collaboration with internationally approved companies. The machines are not only technologically advanced and fully automatic, but also perform as per the plants of international standards. With the purity upto 99.7% oxygen and 99.99% nitrogen, the systems come up with capacities ranging from 20 m3/hr to 5000 m3/hr. They can be tailored as per the requirement of the customers. 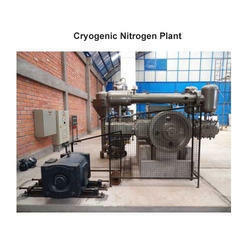 Looking for Cryogenic Nitrogen Plants ?